In the picture above, I am performing a heavy sandbag carry. Heavy carries with any odd object are extremely taxing. The body is challenged from head to toe with each step that you take. Extended carries also become a mental challenge as you resist the temptation to drop the odd object. Yet, despite the physical and mental benefits, heavy carries are still far from ordinary. After posting the image above to my Facebook page, I received over a dozen emails from individuals asking about the exercise and how to create sandbag routines. Fortunately, you do not need to overhaul your entire program to include heavy carries. Simply adding a heavy carry as a finisher to an existing routine could serve as a valuable addition. That’s it. Finish one or two workouts per week with 5 or 10 minutes devoted to carrying a sandbag. It may not sound like much, but 10 minutes can seem like an eternity when carrying a massive bag. Small additions here and there often accumulate into something much more significant. This concept is particularly true with a powerful tool like a sandbag. Throughout my sandbag DVD, I stress the simple fact that less can be more. Don’t always view new or different tools with a routine mentality. It’s likely that you already have an existing routine. Additions can be subtle. You don’t need to knock everything down and start from scratch. 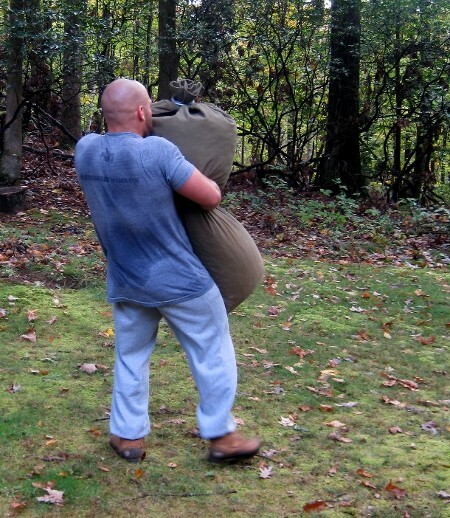 The addition of a sandbag carry doesn’t mean that you need to rewrite your entire weekly program. Start with a finisher or two throughout the week and see how you respond. If heavy carries are new to you, expect to be surprised at the difficulty. In time, you can gradually add more work if you desire. Don’t rush the process however. The body will need time to adapt. Your ability to positively adapt will increase if you are patient and gradual with your additions. I always encourage ambition, but don’t let your mind get ahead of your body. An overzealous approach can cause more harm than good. One of the most common mistakes I see with sandbags comes from individuals who are overly ambitious. Many have never trained with a sandbag before and attempt to dive headfirst into an intense sandbag based routine. Don’t make that mistake. Exhibit patience along with your hard work. 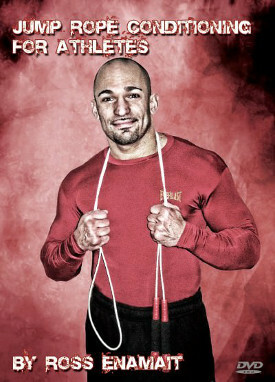 I have trained with sandbags for over 15 years and they are still challenging to me. I can handle much more sandbag work now than I could many years ago however. My body has had the chance to gradually improve. It’s not an overnight process. In summary, it’s useful to view your training as a continuous journey. Throughout your travels, you will add bits and pieces as your body continues to adapt and grow stronger. Don’t view your training as a short race that you must figure out in one day. In the end, you’ll realize that the patient and consistent approach is much more rewarding and beneficial. Hey Ross, thanks for posting this. Always good to hear your view on the approach to strength training, this time concerning the sandbag. good words of wisdom about. thanks. ! The balls to the walls approach often times can be as harmful if not worse than a lackadaisical attitude, especially when attempting some new form of training and/or exercise. I’ve never done any type of sandbag training but I’ve been meaning to, specifically for the effects it has on improving grip/hand strength with exercises like cleans, upright rows, etc. I’m definitely paying for the overenthusiastic “no pain, no gain” type of training from my younger days in my shoulders and knees. Any type of new routine or exercise should always be taken on gradually as you mentioned, and not only will it be more productive, your body will thank you years later. I’ve done a little sandbag training this year. How heavy is that bag you are carrying in the picture? @Andrew – I don’t have a convenient way to weigh the bags, but this bag is over 200 lbs. I don’t know the exact weight however. The new DVD is amazing as all the previous ones. I liked the fact that you tested the commercial bags and didnt find the value worth the price, before giving your opinion on them. I had been thinking about a commercial bag, until I purchsaed this DVD. @Dan – Feeling the work in your back could signify a few things. For starters, it could be that your backside has not received enough direct attention. Based on the stabilization requirements of the sandbag, it’s not uncommon to experience soreness in areas that have previously been neglected. There’s a lot more to controlling a large sandbag than many realize. As for lifting heavier bags, it’s always useful to think with the legs first. When the lower half becomes the dominant force in powering the bag, form tends to improve without conscious thought. Problems tend to arise when people begin bending at the waist. Lastly, if you perform sandbag carries, start light. A heavy carry is much more difficult than many imagine. The core will be working hard throughout so if the backside is not adequately developed, you can expect to feel it there.